Get on board with wintry weather in the new Sk8 Hi Girl Gang Sherpa Skate Shoe from Vans! 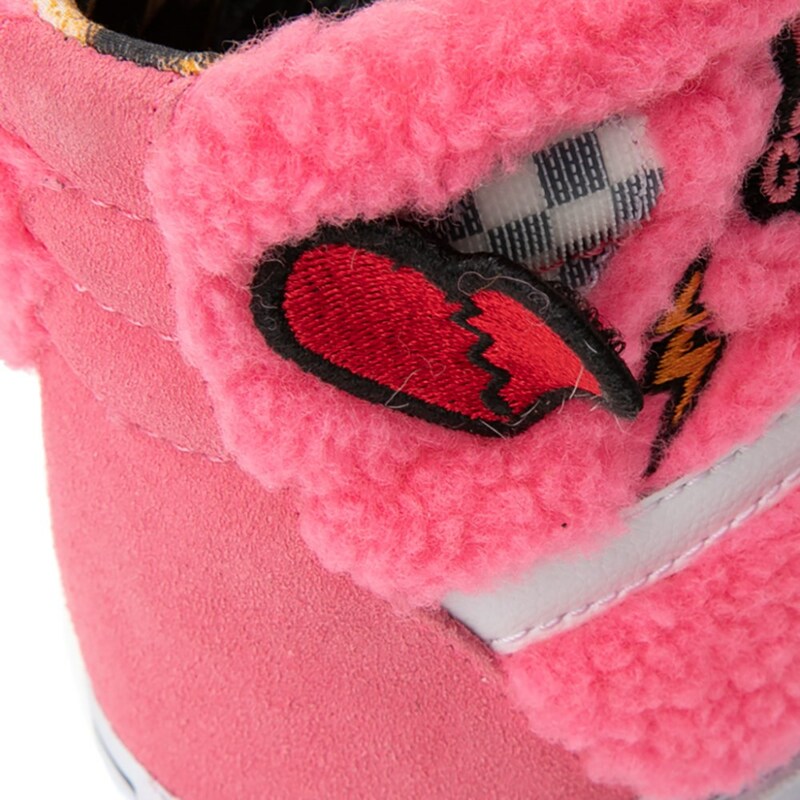 Sporting trendy appliques and patches, the Sk8 Hi Girl Gang Sherpa Skate Shoe features durable suede uppers with a plush faux wool overlay, iconic leather side stripes, and classic vulcanized sole for optimal flexibility and board feel. Available at select stores and online at Journeys.ca!